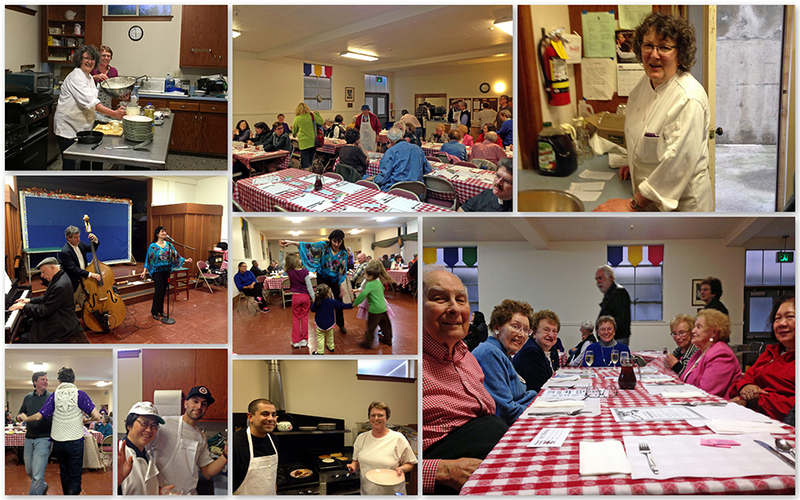 Every year we host our annual Pancake Supper to celebrate Shrove Tuesday. 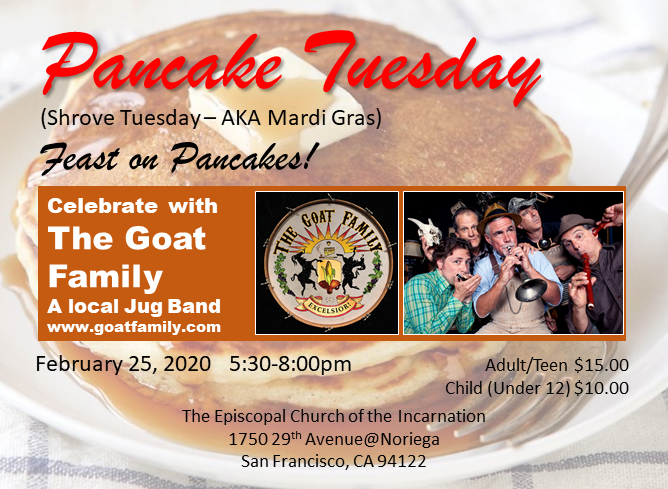 Shrove Tuesday (known in some countries as Pancake Day) is a day in February or March, preceding Ash Wednesday (the first day of Lent), which is celebrated in some countries by consuming pancakes. In others, especially those (including Louisiana) where it is called Mardi Gras or some translation thereof, this is a carnival day, and also the last day of "fat eating" or "gorging" before the fasting period of Lent. Please consider supporting Incarnation. Click here for details. 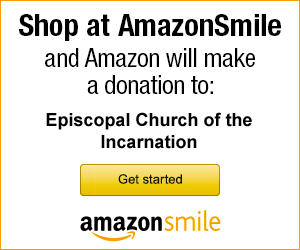 You can also support Incarnation every time you shop and use AmazonSmile.